Shipping a car to or from Columbus, Ohio is actually fairly easy. Everybody seems to forget about Columbus. It exists in the shadow of Cleveland to the north and Cincinnati to the south. But it is actually one of the largest metropolitan cities in the United States. The city itself numbers more than either Cleveland or Cincinnati, but the statistical metropolitan area registers third most. Columbus is smack dab in the middle of the state of Ohio. It is about a two-hour drive from Cleveland and a two-hour drive from Cincinnati. What is more is that it’s only a couple of hours to Indianapolis as well, or couple of hours to Pittsburgh. I-70 runs east-west right through downtown Columbus. And of course everybody knows I-70 starts on the East Coast and ends on the West Coast. So it is on one of the major interstate freeways in the country and that makes it ideal for auto shipments. I-71 runs from Cleveland just to the northeast of Columbus, goes right through downtown and continues down to Cincinnati, Ohio. Columbus is serviced as well in a circular fashion by either I-270 and other freeways like State Routes 33, 23, 161, 104, 40, and 16, which all make getting in and out of Columbus a breeze. Direct Express Auto Transport originated the very first online instant auto transport quote calculator and it works especially well for Columbus. We normally ship vehicles between one and seven days from the first date that you make it available. Some places are easier to do that than others. Columbus, Ohio counts as one of those places that usually holds true. Our car shipping quote calculator and statistical history of shipments, indicates that the 1 to 7 day window is more likely than not. Many of our customers choose expedited pricing, which hastens the process considerably. And some folks just don’t like messing around, and go for our rush rate, which really jumps our customers ahead of the pack. Columbus, Ohio of course is home to Ohio State University, which is one of the largest universities in the country with about 50,000 students. That’s a lot of college students wanting to ship their cars every year in the fall to Ohio State, and of course those kids need to get home in the spring. Ohio State of course was the University that Archie Griffin won the Heisman Trophy two years in a row, a feat not matched since. Columbus probably would warrant having their own major professional football, basketball or baseball team except for the proximity to two major sports centers such as Cleveland and Cincinnati, which makes it impractical. So folks in Columbus choose either to root for the Cincinnati Reds or the Cleveland Indians, the Cincinnati Bengals or the Cleveland Browns. When it comes to NBA basketball … it is the Cavaliers or bust. 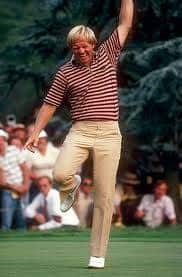 We would be remiss if we failed to mention that perhaps the greatest golfer of all time hails from Columbus Ohio, and of course that would be none other than the Golden Bear, Jack Nicholas. 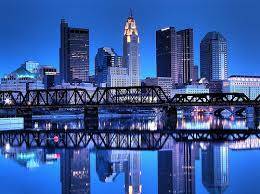 Columbus, Ohio of course gets its name from Christopher Columbus. Rumor has it he discovered the Americas, which comes as some surprise to the Native American Indians who were already there. They are of the opinion that it was already discovered, and he missed the mark badly by landing in the Caribbean. The Columbus area actually was the center of considerable conflict in the 18th century. The French fur traders discovered the area, traded with the Indians, and then fought for the land against the British. That was the Seven Year War. Eventually the French got the boot, the British took over, the Indians had plenty to say about it, and only much later after a lot of conflict with Native American tribes such as the Miami, Delaware, Wyandotte, Shawnee and Mingle nations at the Battle of Fallen Timbers were matters settled. Even our very first president, the great and incomprehensible George Washington, cut his teeth on the Ohio frontier. Back then it was a part of the Virginia territory, and Washington was sent as a young man to survey it for Virginia. Washington’s intimate knowledge of Ohio would later prove extremely valuable. So whether you’re an Ohio State Buckeye fan or a Snowbird looking to go to Florida for the winter, you will find the Direct Express Auto Transport quote calculator a major resource. Try it here on this page.